A view from the bridge crossing the River Sorn in Bridgend. On the right is Sornbank, offering Bed and Breakfast as well as self-catering. The small balcony belongs to a nice self-catering flat, very nice to sit on with a wee dram in the evening. 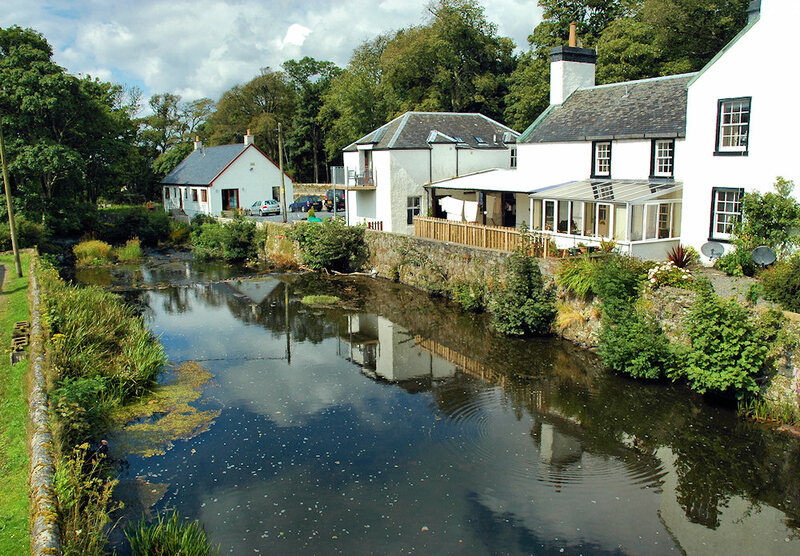 This entry was posted in Cloudy Weather, Landscape, Repost, Sunny Weather, Village and tagged Bridgend, Islay, River Sorn by Armin Grewe. Bookmark the permalink.